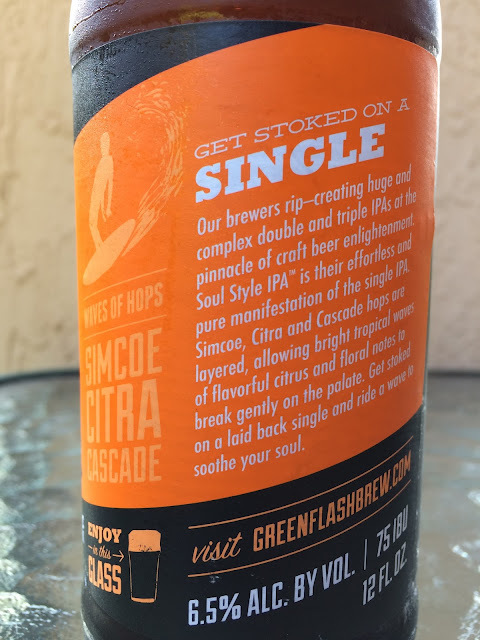 I recently attended a Green Flash Beer Dinner with their Director of Beer Education Dave Adams. 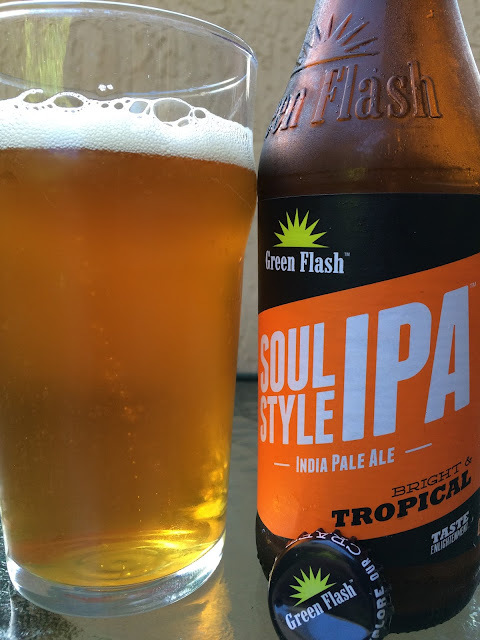 Soul Style IPA was not part of the menu though we did talk about it. "Soul Style" is apparently a surfing term used on the West Coast. So I grabbed a bottle at the local liquor store today to check out! In addition to the beer's name, the other parts of the bottle label follow with that ocean/surfer theme. "Waves of Hops, Simcoe Citra Cascade." The story on the back talks about getting Stoked and ripping huge beers. "Get stoked on a laid back single [IPA] and ride a wave to soothe your soul." 6.5% alcohol. 75 IBU. Best By 30 DEC 15. Citrus orange aroma with a hint of pine and spiciness. Great tropical fruity flavors meet some pine and peppery spicy balance. Plenty hoppy though very seductive! Soft yet still strong and full of body and flavor. Sweet and bitter. Nice finish. Its Got Soul! Check it out!